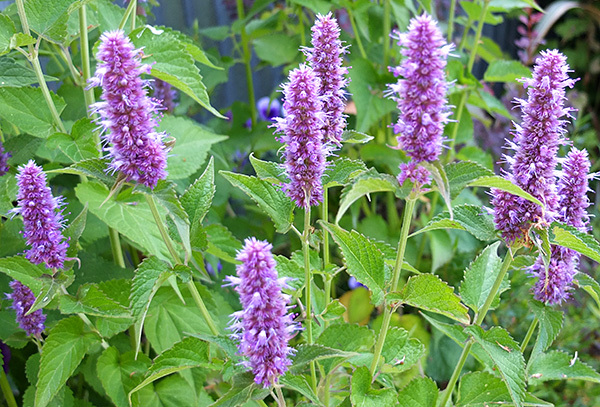 Agastache was one of my early perennial seed purchases. I didn't know that it would be so generous in providing me with new seedlings, and dutifully collected my own seed after the first flowering season. I really needn't have bothered. This perennial is almost a nuisance, but the bees like it very much, and it has a fresh smell of aniseed. It's a useful perennial, tough and versatile, and the seedlings are easy to control. The blue variety is my favourite. I have a theory that the stems of the blue seedlings are darker than those of the white variety. This is a well known foxglove theory, still unproven in the Moosey garden! 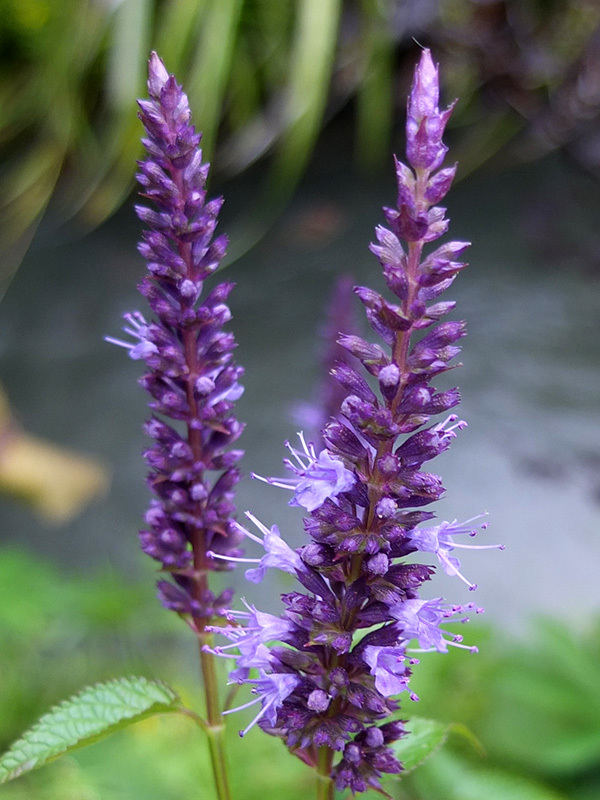 Agastache is commonly known as anise hyssop. I've recently sown seeds of a pink flowering variety - they'll hopefully flower for me next year. The above picture is of a rather nice navy blue flower, also grown from seed. Mind you, I don't think that the bees care what colour the flower is!